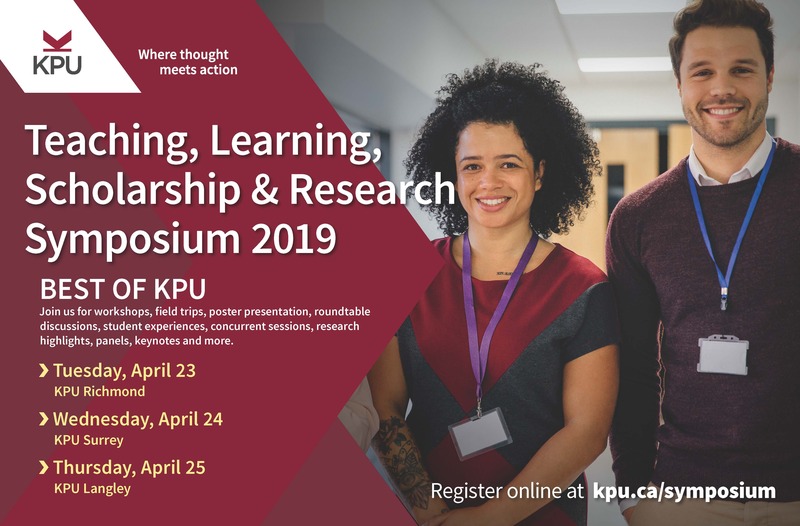 KPUs 3rd Annual Symposium will be held Tuesday to Thursday, April 23-25, 2019. Registration is now open! This year's theme is, "BEST OF KPU" and each day the Symposium takes place at a different campus location. KPUs 3rd Annual Symposium will be held Tuesday to Thursday, April 23-25, 2019. This year's theme is, "BEST OF KPU" and each day the Symposium takes place at a different campus location. April 11: Register NOW! Click Program bar above for "Schedule at a glance" and Abstracts. There is no cost to you to attend the Symposium AND lunch will be provided.